In Maryland, DUI and DWI (Driving While Impaired) are serious criminal offenses with long term consequences; however, all is not lost simply because you were charged. 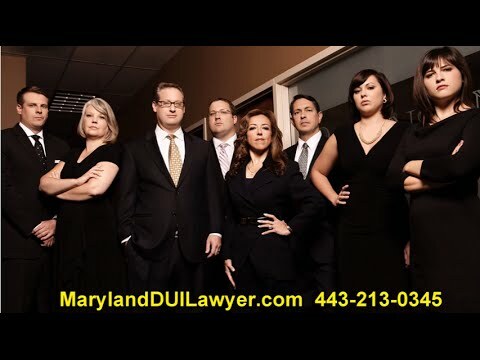 Immediate action by an experienced and trial tested Maryland DUI lawyer can have a controlling impact on whether your case is resolved successfully and your job and family are protected. In Maryland, DUI and DWI (Driving While Impaired) are serious criminal offenses with long term consequences; however, all is not lost simply because you were charged. Immediate action by an experienced and trial tested DUI Law Firm can have a controlling impact on whether your case is resolved successfully and your job and family are protected. We understand that the majority of drunk driving defendants have never been arrested before and therefore desire immediate answers to questions regarding jail, driver’s license, employment, security clearance, CDL and the like. We understand that an arrest is a frightening and traumatic experience and that you feel lost not knowing where to turn. Rest assured you have come to the right place for immediate help around the clock. Robinson & Associates is available right now to answer your questions, explain what needs to be done next and provide guidance and support. All you need to is call. We will immediately schedule your free consultation at your convenience during the day, evenings or over the weekend to help protect your freedom, your family, driver’s license, CDL, Government Clearance and most importantly, your piece of mind! Rest assured you have come to the right place for immediate help around the clock. Robinson & Associates is available right now to answer your questions, explain what needs to be done next and provide guidance and support. We will immediately schedule your free consultation at your convenience during the day, evenings or over the weekend to help protect your freedom, your family, driver’s license, CDL, Government Clearance and most importantly, your piece of mind!Our Maryland DUI Lawyer is specifically focused on defending drivers charged with DUI and alcohol or drug related offenses. We defend cases throughout the State of Maryland including Howard County, Baltimore County, Anne Arundel County, Baltimore City, Carroll, Harford and Montgomery Counties. Contact our Maryland DUI lawyer for a FREE no-obligation consultation. We will take the time to thoroughly explain all your charges to you in a pleasant and supportive fashion. We will explain why you should not pay any tickets prior to going to court, let you know what you realistically face as a result of the arrest, let you know what you must do right now to protect your rights and your driver’s license, and most importantly, what our office can do to help defend your driver’s license, your freedom, your Government clearance and your livelihood. Hello I’m Birmingham criminal defense attorney John C. Baker call me at 205-356-6025 to discuss your case today you can reach me 24/7 also through my website www.SmartlegalUSA.com. defender’s office is handed to you. for you okay and that’s justice as a fair trial I’m all about the trial. I have a history of success and acquittals for unjustly accused criminal-defenants every day give me a call 205-356-6025. When you, a friend or loved one have been accused of a crime it is very important that you obtain legal counsel and a Birmingham Criminal Defense Lawyer as soon as possible! A good criminal defense often starts even before an arrest. Don’t think that the Birmingham Public Defender is going give you the aggresive & passionate defense that you need. Protect your Rights, Protect your Future. No matter the Charge I aggresively & Passionately Represent My Clients, Protecting their Rights & Pushing for the best possible outcome. I believe in the Jury Trial and if your case calls for it I will take your case to the Jury ! Our Birmingham Criminal Defense attorneys are also experienced at appealing prior convictions. The Criminal Defense lawyers at the Law Office of John C. Baker offer the kind of personalized and focused representation that gets results for our clients. We’ll leave no stone unturned when it comes to your case, and we’ll be your strong advocates both outside and inside the courtroom. Our Birmingham Criminal Defense Firm has handled thousands of criminal matters over the years, ranging from DUI to Murder, to White Collar offenses. Criminal defense law consists of the legal protections afforded to people who have been accused of committing a crime. Law enforcement agencies and government prosecutors have extensive resources at their disposal. Without adequate protections for the accused, the balance of power within the justice system would become skewed in favor of the government. As it is, fair treatment for criminal defendants often depends as much upon the skill of their defense attorney as it does the substantive protections contained in the law. Defense attorneys know how to use constitutional guarantees to the advantage of their clients. For example, all criminal prosecutions are based upon evidence gathered by the government. This may include physical items of evidence, witness statements, confessions, drug and alcohol tests, and so forth. The Forth Amendment to the U.S. Constitution (applicable to the states through the 14th Amendment) prohibits the police from using unreasonable searches and seizures to gather evidence. If they do, a defense attorney will ask the court to suppress that evidence so it cannot be used at trial. The Constitution provides many more protections that apply to the field of criminal defense law. Someone who has been tried and acquitted of a crime cannot again be charged with that office, as mandated by the “double jeopardy” provision of the Fifth Amendment. The Sixth Amendment guarantees criminal defendants the right to a public trial, and in many cases, the right to have their guilt or innocence decided by a jury. It also affords the right to confront adverse witnesses, and to use the court’s subpoena power to compel the appearance of favorable witnesses. Are You Facing Federal Charges in a California Federal Court? When the stakes are high and you’re facing criminal charges, you need a Los Angeles criminal defense attorney with experience, who are available to take your case quickly and confidently, who will go the extra mile to thoroughly investigate your case, and who get the best possible result in or out of court. The Los Angeles criminal defense attorneys at Eisner Gorin LLP understand that being arrested or charged with a crime is frightening experience. Our Van Nuys law firm’s mission is to aggressively and tenaciously defend our clients, even before the case reaches the courtroom! You need to know your rights under the law, and immediately act to protect them. Eisner Gorin LLP has been selected year after year as a Top 5% U.S. “Preeminent” Criminal Defense Firm on the Martindale-Hubbell® Bar Register. Our Los Angeles Criminal Defense attorneys have a combined 50 years of legal experience and credentials that few defense firms can match. Our law firm’s reputation is recognized throughout Southern California. We handle serious criminal cases in the Counties of Los Angeles, Ventura, Orange, San Bernardino, Van Nuys and Riverside Judicial Districts. 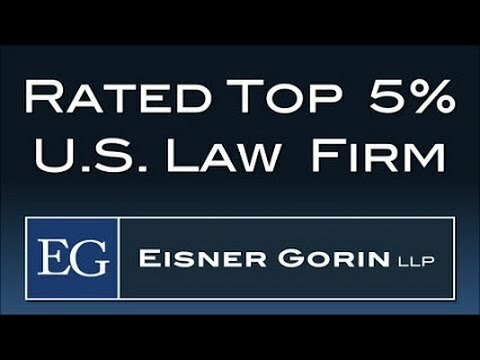 Eisner Gorin LLP is a powerhouse defense team of former Senior prosecutors specializing in the aggressive defense to all misdemeanor, felony, and DUI offenses. The attorneys at our firm are known throughout local courts by judges and prosecutors for their experience, reputation, courtroom results, and legal acumen. We have had numerous notable courtroom victories in defending Criminal and DUI cases in Los Angeles courtrooms. A strong defense begins with the facts. Our Los Angeles Criminal Defense attorney work with a premier licensed private investigator, Boykoff Investigations, whose offices are located on-site in our office suite. We don’t rely on Los Angeles police investigations – we get the facts ourselves and we can start investigating your case immediately. Pre-Filing Intervention has led to numerous successful results before the case reached the courtroom. It is a well-known fact that witnesses can be swayed or intimidated by the police, and our ability to get recorded statements or physical evidence early in an investigation can prevent that from happening. Witnesses often lose their memory or change their position, so memorializing their statements early is imperative to a successful defense. Our Los Angeles law office is located across the street from the Van Nuys Courthouse, the police station, and the prosecutor’s office. We also have law offices throughout Southern California, ensuring that early intervention in your case can begin immediately. An aggressive defense can sometimes mean your case is rejected, dismissed, or filed as a misdemeanor rather than a felony. 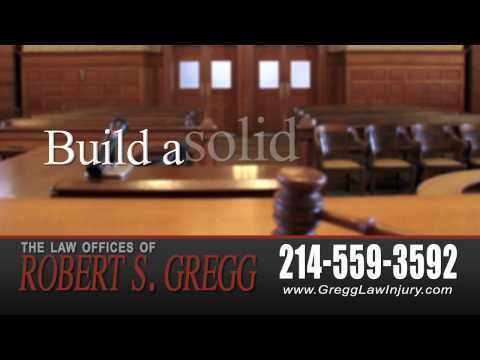 A strong defense begins immediately – not in the courtroom. As soon as you suspect you may be charged with a crime, call us!